Mar 14 09:14: Magnitude recalculated from 4.5 to 4.3. Hypocenter depth recalculated from 10.0 to 104.0 km. 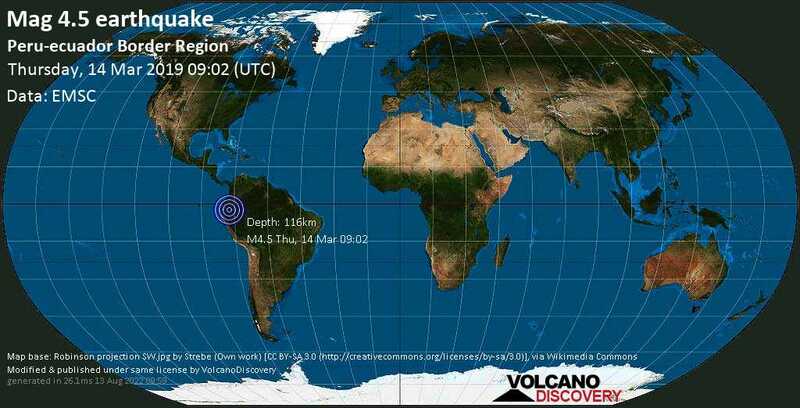 Mar 14 09:27: Magnitude recalculated from 4.3 to 4.5. Hypocenter depth recalculated from 104.0 to 116.0 km.